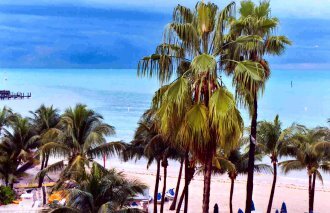 Our first visit to Key West finds us looking out of the balcony from our ocean-view room at the Reach Resort. 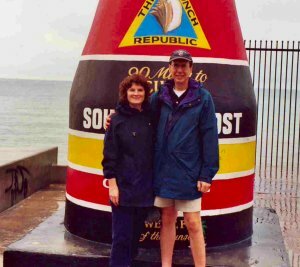 Although the first day was rainy, it didn't stop us from exploring the island. 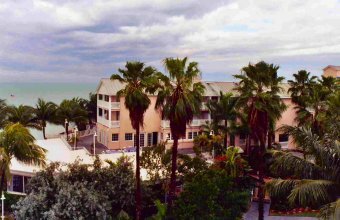 Historically Key West is known for being the Southern most tip of the United States and a popular tourist destination for world travelers. To mark this, a monument has been raised to mark the spot. And right next to this point is the Southernmost House. 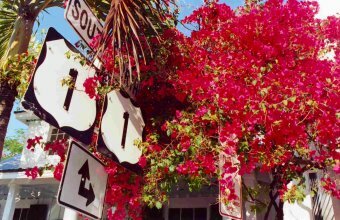 The main drag of Key West is Duval Street, running north and south along the western side of the island. 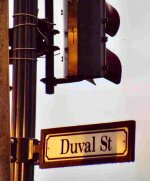 Florida state highway Route 1, which leads into and out of the island, intersects at Duval Street. 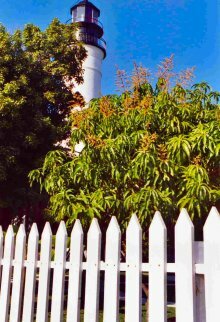 The Key West Lighthouse stands among the streets surrounding Duval Street and Route 1. 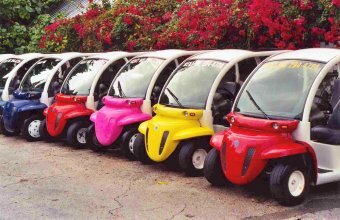 You can rent these colorful golf cart-like vehicles to spin around the island. 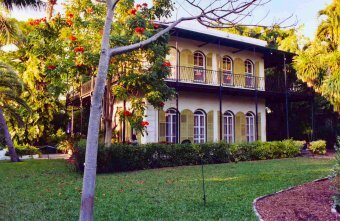 Ernest Hemingway's house is located on Whitehead Street, just a block from Duval Street. 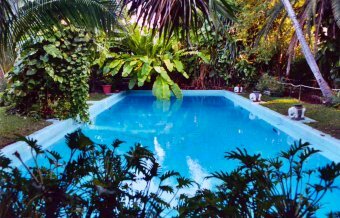 Hemingway's pool is located behind the house, on the one-acre property, which is now open for very interesting visitor tours. 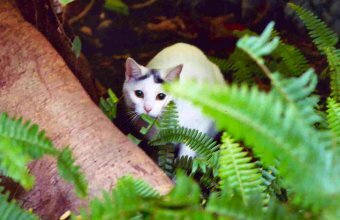 On Hemingway's property are a carnival of cats, some with six-toes on each front paw. This one was hiding from us as we walked by. 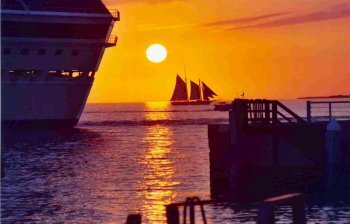 The glorious sunset is seen along Mallory Square, at the north end of Duval Street. Two large cruise ships, one with Mickey ears, are docked while its passengers are exploring the island. A sailboat skims across the water in the background just as I shot the picture.